Can a Female Dog Absorb an Entire Litter? Puppy absorption happens when a pregnant female dog has one or several fetuses disintegrate in her uterus following an infection or another type of pregnancy problem. Fetal resorption in dogs can only happen in the weeks of the pregnancy when the tissues are soft and bones are not properly formed yet. Although this is scary and worrisome for dog breeders, canine fetal resorption seems to happen in 11% of all dog pregnancies. It often happens so early in the pregnancy that it is unnoticed. Generally, absorbed puppies cause no complications to the mother dog. Commonly termed in the medical field as canine fetal resorption, a puppy absorption is a biochemical process in which the tissues of a live fetal organism, in this case, the puppy, begins to deteriorate and decompose. This is a process of disintegration of the enzymes in the fetus when it’s still inside the womb that allows for a complete obliteration of the organism resulting in total reabsorption. Fetal absorption is not to be mistaken with embryo loss in which the embryo is reabsorbed during an earlier stage of gestation. As a rule, after a certain amount of days (44 days roughly), puppy absorption cannot be performed because of the development of the skeletal bones, those of which cannot be reabsorbed. For this reason, a canine reabsorption can only occur during the earlier stages of pregnancy when the fetus is made up of mostly soft tissues. Most puppy absorptions happen to only one or two puppies in the litter. Yet, it may occur that an entire litter of puppies gets absorbed. Unlike a miscarriage, the fetus does not leave the dam’s body after death. During fetal resorption, the dam’s body begins to absorb the placental tissue, followed by the actual fetus itself. The puppy that has been reabsorbed literally disappears from the litter and uterus. The puppy’s body dissolves in the natural chemical process and often causes much confusion to outsiders who are not familiar with this term. This systematic approach in the dam’s body actually works as an advantage to her as it is dangerous to abort a fetus within a litter if the other pups survive and make it through the birthing process successfully. The act of absorption eliminates the risk of anything unsettling happening to the mum during the remaining of the pregnancy, and at delivery. Another common term used to describe this process is called “Vanishing Twin” in which the remains of the reabsorbed fetus can be taken by the other twin or the mother. 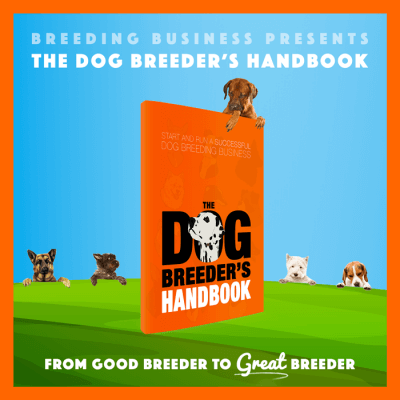 As daunting as this all may seem, especially for an unsuspecting dog owner, this phenomenon is actually quite common and is a normal part of the natural processes of canine reproduction and living. According to various studies, on average, about 11% of canines experience fetal resorption. There are a number of reasons that could qualify as a legitimate cause for puppy absorption. Some believe, because of its natural occurrence, it may be nature’s way of preserving the dead or protecting the mother as a survival mechanism. In either case, it may be essential to take note of the time of reabsorption as a helpful indicator of why it happened in the first place. The leading causes of puppy absorption tend to vary from dog to dog depending on many factors. Most times, the dog’s owner is unaware of reabsorption because the process can oftentimes go unnoticed. A puppy can reabsorb before the owners are even aware that the dam is pregnant and, in such cases, unfortunately, a cause can never be determined. In the event that the reabsorbed puppy was detected and confirmed alive and later confirmed dead, coinciding events and the status of the other pups can help establish a logical reason for the resorption. Some absorptions can be caused by infectious agents and others caused by non-infectious agents. Brucella Canis — Commonly referred to as Brucellosis, the Brucella Canis bacterium can cause infection in the dam by affecting her reproductive organs and is even considered to be highly contagious. Brucellosis is responsible for a number of stillborn pups in many dogs of all ages and has been known to even cause infertility. E. Coli — Escherichia coli is a very common bacteria found in a canine’s bloodstream that causes the disease known as colibacillosis. Taking preventative measures in pregnant canines goes a long way in avoiding this condition. Owners of pregnant dams are advised to give adequate nutrition to her as well as keep her in highly sanitary conditions. Other bacterial agents that can cause reabsorption are Streptococcus spp. and Staphylococcus aureus. Canine Herpesvirus — This canine virus belongs to the Herpesviridae family and is most commonly referred to as the virus that causes fatal hemorrhaging. In fact, it’s a documented fact that this disease is the leading cause of fetal deaths in puppies. The most unfortunate aspect of this virus is its 100% mortality rate for the affected puppy litters. Parasites — This parasite causes an infection called toxoplasmosis. These parasites are known to reside in the feces of cats and other times in the roots of contaminated soil or even unwashed fruits and vegetables. 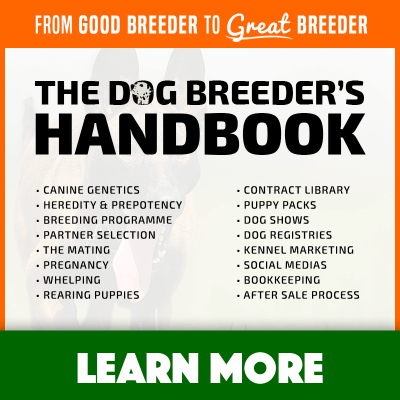 Genetics — The genetics of the pups can play a role in whether or not the fetus will be properly developed. Some genetics may cause malformations or even not allow full development to occur to allow survival, thus allowing for reabsorption. Drugs — There are certain drugs that are given to dams that may affect the developmental stages of the whelp. It is possible that an adverse drug reaction may have been the cause of any of the pups in the litter to reabsorb. Nutritional — All mothers, whether canine or human, require sufficient nutrition to withstand a pregnancy. The nutrition of the mother affects the babies and therefore, any malnutrition can cause early death in the fetus. Developmental/Chromosomal Defects — Any anomaly or defect found in any of the developmental stages can result in early death to a canine fetus. Chromosomes assist in the development and growth of the cells and sometimes even breeding the canines at inappropriate times can lead to defects. Sperm and egg cells, as a result of this, may deplete or lose all function leading to eventual death. Hypothyroidism — Certain endocrine disorders such as hypothyroidism can warrant unwanted effects on the fetus of a canine often leading to aborted fetuses. Placental or Uterine Anomalies — The placenta and the uterus of the pregnant mother are the main organs that allow for a successful birth, so any disruption in the formation of the fetus can lead to some serious risks and even death. 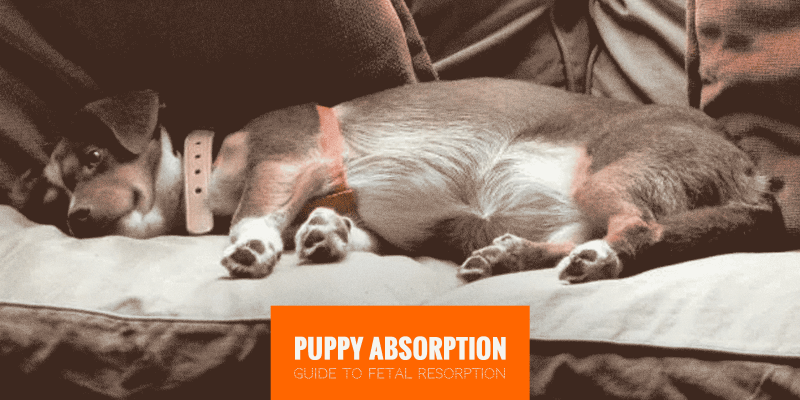 Hormones — This seems to be one of the most common causes of fetal absorption in puppies. Adequate hormones are needed to develop ideal conditions in the dam’s body for reproduction and development of the fetuses to occur naturally. Environmental Stresses — Stress can wreak havoc on the body especially during pregnancy. If any environmental stresses become too unbearable the body can begin to stop functioning at its optimum level and thus, lead to various complications which may lead to fetal resorption. Younger female dogs and first-time canine mothers tend to be more at risk with puppy absorption. 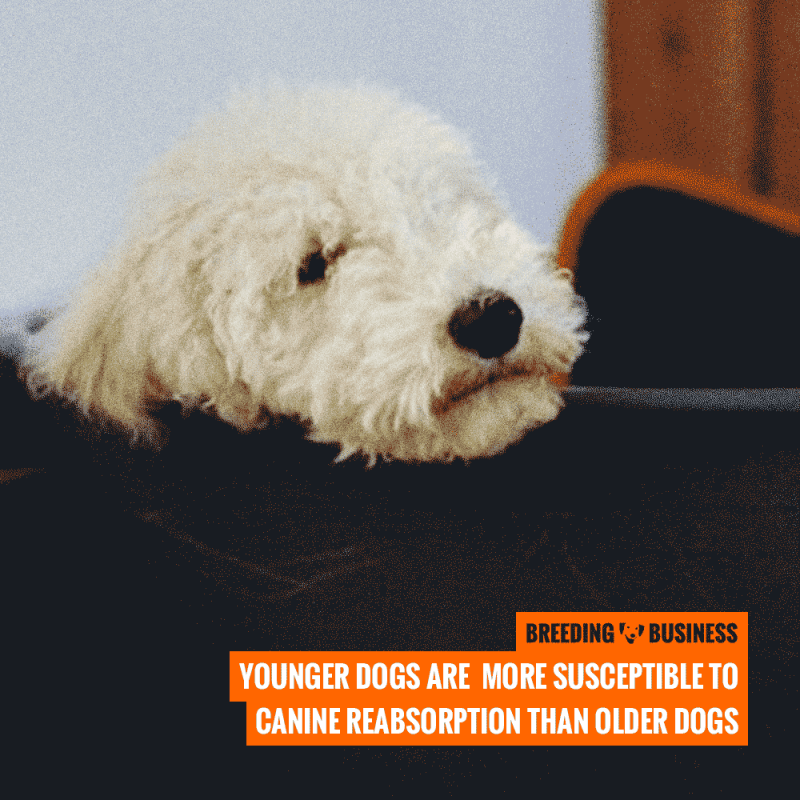 It’s important to note that younger dogs are more susceptible to canine reabsorption than older dogs, therefore one could take into the account the age of the dog during pregnancy to consider if this may have been a possible cause of the absorption. Another probable factor could be a false reading of how many puppies are found during the ultrasound. It is possible that the ultrasound operator could have made a mistake in the puppy count. In addition, false pregnancies have been known to cause pregnancy symptoms such as milk production and enlarged abdomens, thus leading to a false idea of impregnation when in fact there are no eggs fertilized. Although it’s not often the case, traumas and accidental events can cause some puppies to be absorbed. A hard blow to the dam or a fall can prove to be fatal if the impact is substantial enough to cause lesions to the uterus, placenta or other major bodily organs involved in the development of the pups. It’s a common misconception that canine absorption is caused by ultrasounds. 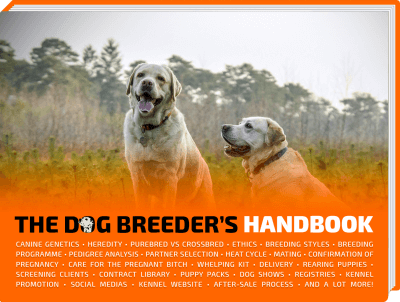 For those who are familiar and well-read in the reproductive cycle of dogs may have heard of Dr. Hutchison, an expert in canine reproduction. In one of his leading seminars, the topic of canine resorption came up and Dr. Hutchison had claimed that the idea of ultrasounds being a cause of canine absorption is nothing but an urban legend. Although the majority of canine fetal resorptions occurrences often happen to only one or two puppies in the litter, it is possible that a female dog absorbs her entire litter as well. 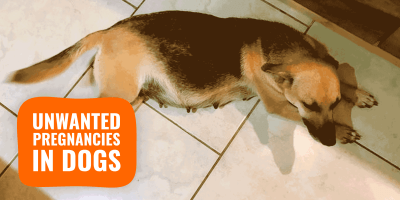 There have been some instances in which some dogs have looked pregnant and all the sudden, no longer have their bellies. That could be a sign where the dam has lost all of her pups due to absorption. This would be a full-on canine miscarriage. The same reasons that cause one of the fetuses to reabsorb also applies to the entire litter. 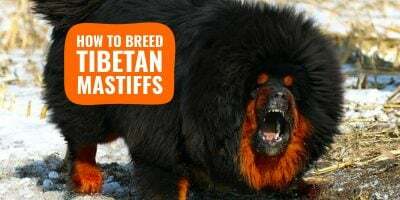 Diseases and malnutrition to the dam can cause an array of issues that result in the loss of her pups if all of them become affected and thus, too weak to cope. It is also possible that infectious agents such as bacteria and viruses may pass on to all the fetuses and result in a spontaneous litter absorption. Unfortunately, in these cases in which all puppies are reabsorbed, a lack of sufficient information results in unanswered questions. 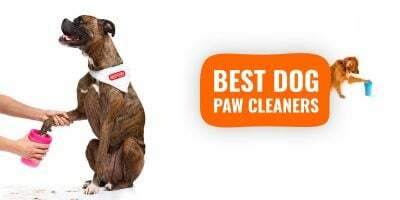 Because there are no survivors in an absorbed litter, there is no way to make comparisons with other puppies that will help indicate a cause. Hi, my name is Verona and I am currently studying genetically altered dogs and very much would like some info and breeders to help and further me with this venture.